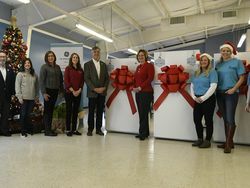 LOUISVILLE, Ky.—October 8, 2018—GE Appliances, the leader in connected appliances, announces a new partnership with mobile cooking platform, SideChef. 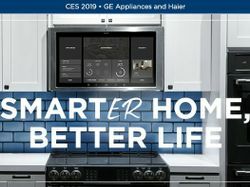 The collaboration will officially debut at the Smart Kitchen Summit, October 8–9, in Seattle, Washington, and will bring owners life-enhancing features and more than 5,000 recipes via the industry-exclusive GE Appliances Kitchen Hub that will be commercially available in 2019. GE Appliances’ smart hub features a 27-inch smart screen that will be placed at convenient eye level above the range and also serve as an oven hood. The Kitchen Hub includes smart interactive features ranging from video functionality and multiple camera angles to task lighting and video chat. Through the GE Appliances app, SideChef recipes will also be fully integrated with GE Appliances’ industry-leading breadth of WiFi-connected appliances running on the U+ connect platform. GE Appliances and SideChef will present their new partnership at the Smart Kitchen Summit where thought leaders from each company will be on hand to showcase the kitchen hub and discuss the collaboration. Find even more products for creating real connections for real life from GE Appliances. GE Appliances, a Haier company, a leader in WiFi-connected appliance technology, makes owners’ lives easier while improving their daily routines. With its connected suite of GE Appliances, owners can monitor and maintain their home from near or far using their voice or a mobile device. 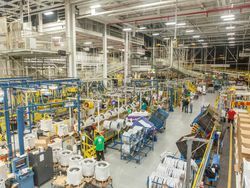 GE Appliances uses the U+ Connect platform as the smart connection that seamlessly integrates their connected appliances with partners, including Amazon Alexa, the Google Assistant, Apple HomeKit, Amazon Dash Replenishment, Nest Labs, Drop, IFTTT and Innit. Connected appliances are also updated remotely with new capabilities and can assess their own performance, allowing for unparalleled service. To learn more, visit http://www.geappliances.com/ge/connected-appliances/. SideChef is an all-in-one home cooking platform that provides over 11,000 free interactive smart recipes with dynamic recipe guidance featuring hands-free voice commands, step-by-step photos, how-to videos, and built-in timers. SideChef offers in-app meal planning, grocery delivery via Amazon Fresh, and connectivity with smart kitchen appliances. Founded by CEO Kevin Yu in 2014, SideChef continues to expand on forward-thinking partnerships from developing smart kitchen software for appliance brands including GE Appliances, Electrolux, V-ZUG, LG, and SHARP to integrations with smart home hubs like Amazon Echo, all designed to meet the everyday needs of the modern home cook. SideChef is available for free on iOS and Android devices. For more information, visit www.sidechef.com.